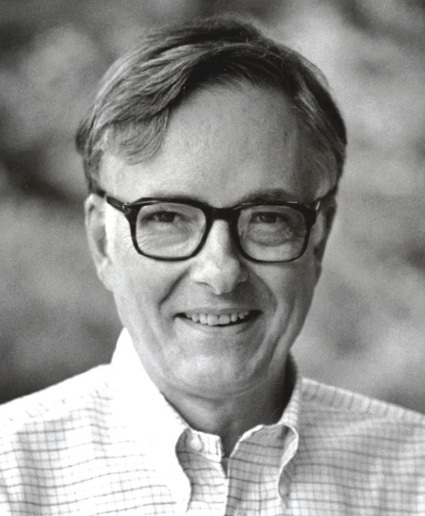 Wilfrid E. Rumble, Jr., a humanitarian and professor emeritus of political science at Vassar, passed away on May 11, 2012. The department remembers the beloved faculty member, who played a major role in shaping students’ lives. Arriving at Vassar in 1961, Bill was a dedicated, active, and highly respected scholar. He was appointed in 1972 to the Frederick Ferris Thompson Chair in Political Science. His scholarship centered on jurisprudence and legal philosophy in the United States and the United Kingdom. He formally retired from Vassar in 1998 but continued to teach his very popular and highly respected course on American constitutional law until three years ago. Bill achieved nearly legendary status among his students for his academic rigor, as well as his careful attention to his subject and to their intellectual and personal development. He was a mentor to generations of young faculty members, who valued his wisdom and his wit. He also was quite active in the local community. April 12-13, 2013, the Political Science Department will host a Bill Rumble Commemorative Weekend. For more information, please contact Political Science Department Chair Katherine Hite at kahite@vassar.edu. When I started the Vassar Boxing and Martial Arts Club my senior year (1979-1980), we were a small group of dedicated Sunday afternoon aficionados who met in the upstairs gym at Kenyon. Our informal practices took shape when our coach, Tony Marchese, agreed to help us out. Among many other talents, Tony is a four-time New York Golden Gloves winner and three-time World Middleweight contender. Tony brought gloves and headgear to our little gym and taught us how to move and hit correctly. When we went against each other, it was full contact. I was the only woman, and had to tell the guys to go ahead and not be afraid to hit me, because I was going to hit them. And I did. I’m pretty sure any of the guys would tell you I held my own. I tried to entice other women to join by offering free self-defense classes, but for that day and age, it just was me. After I graduated, Tony continued to help other students for several years. I was glad to see that Vassar began offering non-contact boxing classes in the 1990s. Tell me when they do full contact—I’ll be there! 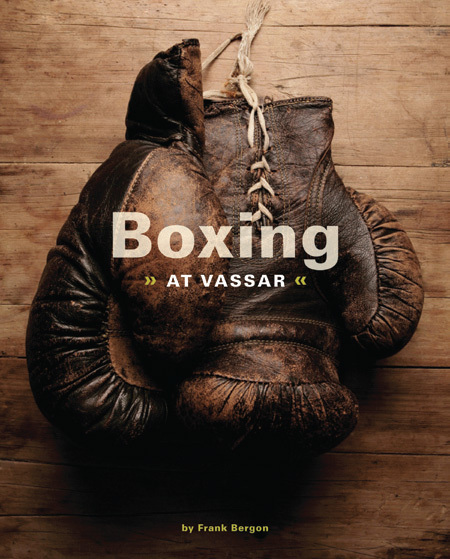 Your “Boxing at Vassar” article [Winter 2012] was quite an enjoyable read. I was rather surprised to see how boxing has become a rather mainstream activity at Vassar. The college’s embracing of boxing as an activity worthy of physical pursuit and academic exploration is quite different from the reaction I received when I approached some now-forgotten Vassar office in my senior year to request recognition of our Boxing Club as a Vassar team sport. I was politely rejected with the explanation that the college could not “condone a sport in which the object was to render your opponent unconscious.” I do concede that was probably a valid point. So, we remained merely a small, relatively obscure club that met Sunday afternoons in Kenyon. Our coach back then was Tony Marchese, an artist and illustrator by profession whose clients included Sports Illustrated magazine. He had worked his way through art school by boxing professionally. He once told me that he hit so hard in the ring that he would often return to art class and have to work with a paintbrush taped to his bandaged and swollen hand. He also was/is an avid competitive ice skater and bicyclist. His home was filled with trophies and medals from his many sports accomplishments. He seemed like an old guy back then, but he was probably only about 45 years old (which is younger than I am now!). And when sparring with us young upstarts, he would always exasperate us with his smooth footwork, bobbing and weaving enticingly close, but always just out of reach of our jabs and crosses. Every time you knew you were close enough to land one, Tony would bob his head just millimeters out of reach and then land a friendly punch in your kisser. He may have seemed old, but he was still fast and in very good physical shape for his age. I was interested to read in your article about the various reasons that Vassar students try boxing. In my case, I had a great desire to know what it was like to get hit and what it felt like to throw a punch. My father had been an amateur boxer and came close to turning pro in his youth. I think my joining the Boxing Club permitted me in some way to learn something about my father, who had died when I was only a child. In 2007, at my 25th reunion, my wife Anne LeVeque ’82 and I brought our daughters up to the campus festivities. One of our first and most entertaining stops that weekend was in the Boxing Room at Walker Field House (frankly, I much preferred having the Boxing Club in Kenyon), where I let the girls try on the gloves and hit the bags. They loved it, partly because they were breaking a social taboo (“Girls should not hit!”), partly because boxing is a great activity that makes you feel good, and perhaps, in part, because they have inherited from their Vassar parents some yet-to-be-discovered predisposition to boxing. About two years ago, inspired by the memory of how much they enjoyed that day in the Walker Boxing Room, I visited the local sporting goods store and bought some gloves, headgear, padded mitts, and mouth guards. That night, for the first time, we held a training session in our living room and the girls each got to spar with me. A lesson learned that night: teenage girls can hit hard! After about a year of boxing idleness, my 16-year-old daughter, Julia, surprised me this past winter by asking if she could bring some friends over to learn boxing. In less than a heartbeat, I said, “Yes.” So, once again, 30 years after I left Vassar, I spend my Sunday afternoons with the Boxing Club, teaching my eldest daughter and her teenage friends what I know about boxing (which is not a whole lot, but enough to provide them and myself with some fun and physical activity). And like my old coach, Tony Marchese, I am the old man who tries to dance out of reach of the punches (I’m far less successful than he was!) as I land a few good ones on the young upstarts. Boxing was a great activity when I was a student at Vassar. And it is still a fun activity that permits me a rare opportunity to spend some quality (and pugilistic) time with my teenage daughter and her friends. I smile to think what my late father, the amateur, almost-pro fighter, would say if he could see his granddaughter in headgear and gloves taking a poke at his son in the backyard. Thanks for the article. It brought back a lot of wonderful memories. To read other first-hand accounts by alumnae/i who have been involved in boxing at Vassar, visit the Winter 2012 issue. Sources for the story “First One to the Finish Line Gets a Date!” about the Yale-Vassar bike races (Spring-Summer 2012) included the Ivy Style article “Bicycle Week: the Yale-Vassar Bike Race” by Rebecca Tuite, LIFE magazine, the Yale Daily News, Miscellany News, Vassar Encyclopedia, Vassar Chronology, and Harvard Crimson.